Puerto Rico's governor said Friday he is "very serious" about working with Elon Musk on rebuilding the island's shattered electrical infrastructure, as the vast majority of residents remain without power and the death toll continues to rise more than two weeks after Hurricane Maria made landfall. Later Friday, Rossello followed up on Twitter: "Great initial conversation with @elonmusk tonight. Teams are now talking; exploring opportunities. Next steps soon to follow." 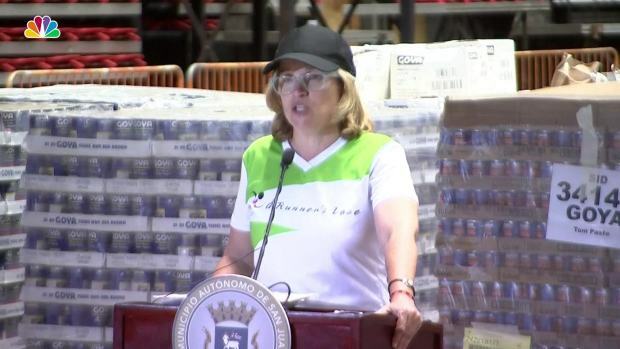 As of Friday, power had only been restored for 10.7 percent of the island and 55.5 percent of people have drinking water, according to status.PR, a Spanish-language website maintained by the governor's office. FEMA had also shared progress in those areas on its webpage devoted to its Maria response, but as of Thursday morning those statistics were scrubbed from the site, The Washington Post reported. FEMA's site left up more heartening numbers — most grocery stores open and all federally maintained ports and airports and post offices functioning. FEMA spokesman William Booher told the Post that the information on power and water access was "readily available" on status.PR and that FEMA also briefed the media twice a day and provided other updates. In a statement provided to NBC Friday, FEMA Director of Public Affairs William Booher said the information about power and water would return to their site. Among the other signs of progress Friday, according to Puerto Rico's government: 78 percent of gas stations up and running, 73 percent of supermarkets open, and more than half of bank branches open. Still, a communications blackout remains a major problem for many. About 42 percent of the island has access to wired or wireless service, according to the governor's office. Overall, 84.6 percent of cell sites are still out, the Federal Communications Commission said. A cell tower may contain multiple cell sites for different wireless providers. The death toll rose Friday to 36 from 34, Rossello announced. Both people were killed by falling debris, underscoring the prevalent danger Puerto Ricans face across the island. Meanwhile, Vice President Mike Pence took in the devastation Friday while visiting the U.S. Virgin Islands and Puerto Rico. On an aerial tour of the Virgin Islands, he saw upended boats along the coast, blue tarps atop damaged homes and uprooted trees and vegetation. He offered assurances that better days were ahead — and that the federal government would help hasten them. "The devastation here is overwhelming, but the resilience of the people of the U.S. Virgin Islands is even greater," Pence said after visiting a Red Cross outpost on St. Croix where hundreds had taken shelter. "We're going to keep the help coming." Pence, wearing short sleeves and cowboy boots, spoke to residents from the altar of a church with gaping holes in the roof. Visiting with locals at the church, Pence invited his wife, Karen, the family "prayer captain," to lead the congregation in prayer. She cited a reading from Colossians that spoke to the island's resilience. Construction worker Jose Sanchez, 33, of St. Croix, said the Pences' visit "builds morale, it gives us hope." As for Maria, Sanchez said: "It was a whipping that we received. It is something that people are never going to forget, like Katrina." Kenneth E. Mapp, the governor of the U.S. Virgin Islands, said the federal government had hurricane response efforts "down to a science." "There is no country that responds to disasters like the United States of America," he said, adding that the island was making progress in its recovery from Hurricane Maria and he expected schools to reopen on Tuesday. The vice president said he came bearing a message from President Donald Trump: "We will be with you every day until the Virgin Islands comes all the way back." It was a message he repeated a few hours later for residents of Puerto Rico. 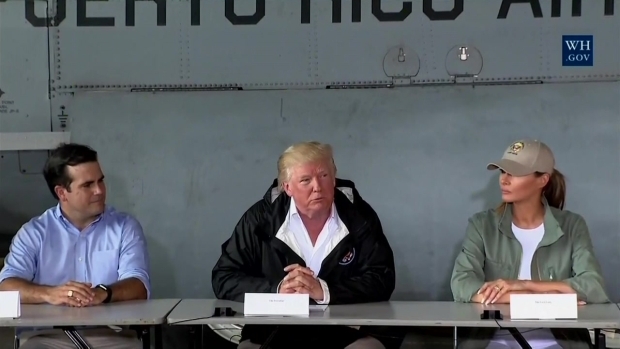 Trump himself had been to Puerto Rico just days earlier, but difficult logistics had kept him from the Virgin Islands. Where Pence dispensed reassurances and hugs on his visit, the president had delivered a more uneven message. 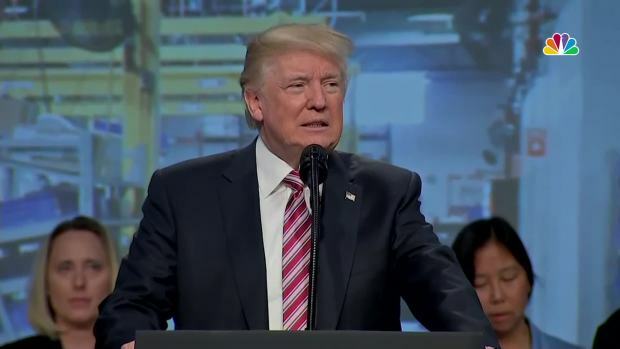 Trump spoke at length in self-congratulatory tones about the strength of the federal recovery effort and made light of how costly Puerto Rico's troubles were to the federal budget. He compared the island's lower death toll to the "real catastrophe" of Hurricane Katrina in 2005, when more than 1,800 people died. Pence, for his part, said there had been "steady progress" on opening roads and addressing other challenges, but acknowledged "we have a long way to go." "The people of Puerto Rico can be assured that we will be with you every step of the way," he said. Pence told locals in the Puerto Rican capital of San Juan that "the hearts of the American people have been breaking" for those in the islands. "We will get through this, and we will get through this together for everyone," he said, adding that the federal government would be there "until you can say, 'Puerto Rico se levanta,' Puerto Rico is rising." Priest Willie Pena also spoke of the resiliency of the people, explaining to Pence that he tells those who talk about still being in the dark, "We do not have electricity, but we do have light." 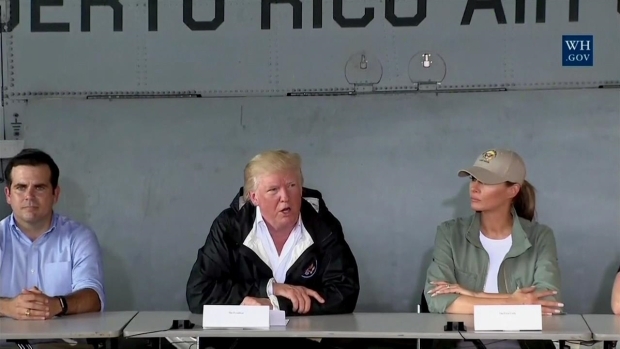 On Tuesday, Trump toured a small slice of Maria's devastation during his visit to Puerto Rico and praised the relief efforts of his administration without mentioning the criticism that the federal response has drawn. Speaking Friday at a White House event for Hispanic Heritage Month, Trump said he was "praying for the people of Puerto Rico." 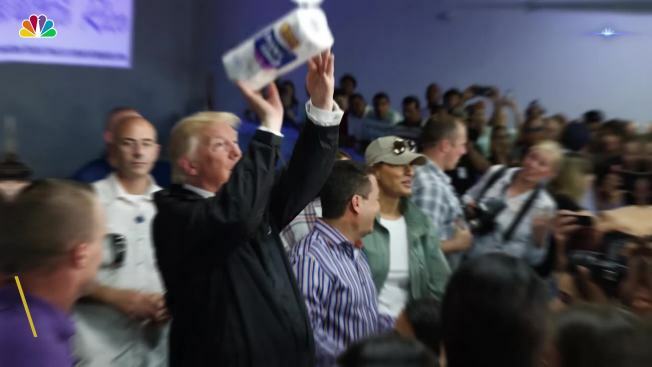 "We love Puerto Rico," he said.